I've decided I'm a lazy photographer when it comes to documenting my adventures. What I mean by that is, I tell my friend Amy to take the pictures with her twin camera she has...seriously why would "both" of us need to take pictures when we can just email them back and forth. However, she gets busy and I start feeling like I'm nagging her for the pictures. So until she has time to download me the pictures from Scrapfest, I thought I'd post pictures from one of our adventures earlier in the month. 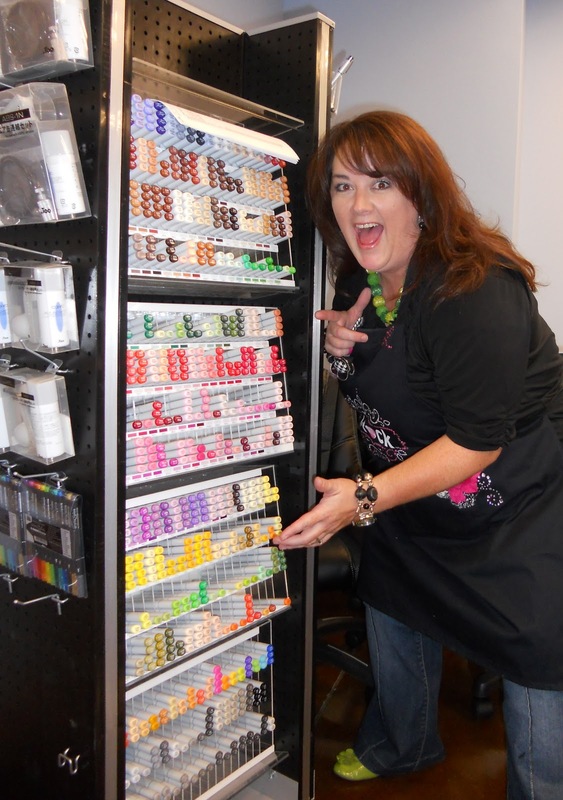 We were invited by Oh My Crafts to come check out their gorgeous new warehouse and classroom space in Orem, Utah. Our team was there to teach a preview class for their upcoming Discovering Possibilities event too! 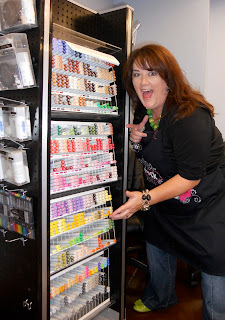 But I had more fun drooling all over their Copic Marker display...seriously a girl can dream right?? Then the very cute Amy Cottle (family owns OMC) shared with me one of their products when she saw us playing with our Gypsy's. Notice the little stylus "wrapped" around my finger? It's called a Typsy and they sell them on their site. Normally they retail for $7.99, but their on sale right now for $1.99. I keep find that mine is missing since my daughter thinks it's for her...but I think I'll be buying a ton of these for my Gypsy toting friends for Christmas...it rocks!! I'll post Scrapfest pictures hopefully tomorrow!! Enjoy!